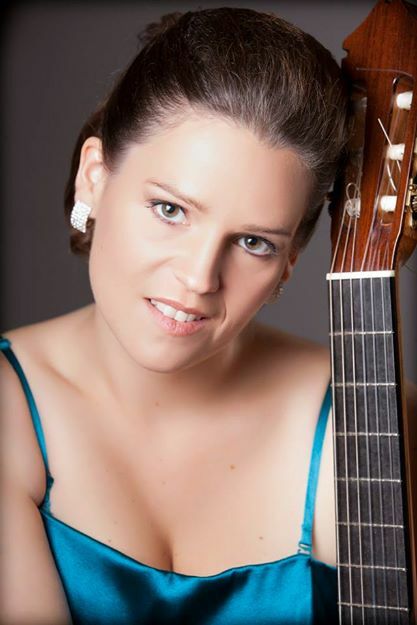 Véronique van Duurling is a multi-award winning classical guitar virtuoso. She is in high demand as both a soloist and in various chamber ensembles. She has been invited to give concerts and master-classes in Belgium, The Netherlands, Germany, France, Luxemburg, Australia, Ireland, Romania, Switzerland, Greece, Czech Republic, England, Norway, Spain, Slovakia, Iceland, the United States and Mexico. Véronique studied at the Conservatory of Maastricht (Nl) with Carlo Marchione and the Strasbourg Conservatory (Fr) with the Duo Melis. She completed the “I Máster en Interpretación de Guitarra Clásica 2013” at the University of Alicante (Es) as well as a “Máster Oficial en enseñanzas artísticas: interpretación e investigación de la música” at the “Conservatori Superior de Musica Oscar Espla" in Alicante (Es). Last year my duo-partner and I successfully ran a crowdfunding campaign to record our debut album.